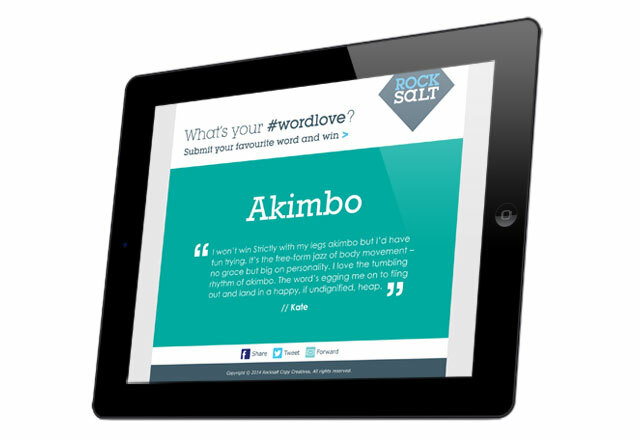 Picking up on the passion that Kate, Paul and Karen at Rocksalt have for words, we designed a striking visual style consisting of bold block colours and nice big typography for a series of wonderful words and the hashtag, #wordlove. 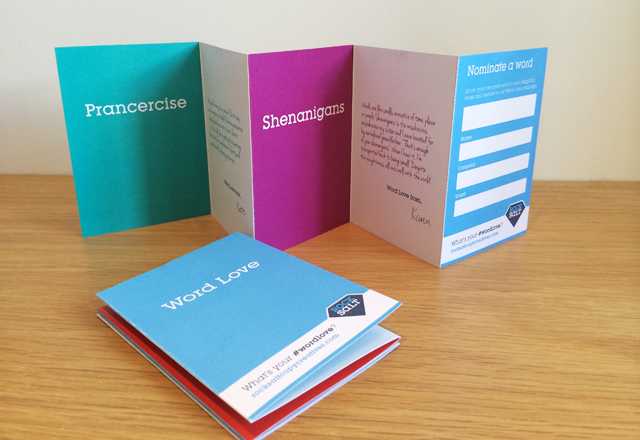 We devised a mini-sized concertina leaflet with each copywriter’s favourite word and explanation why. 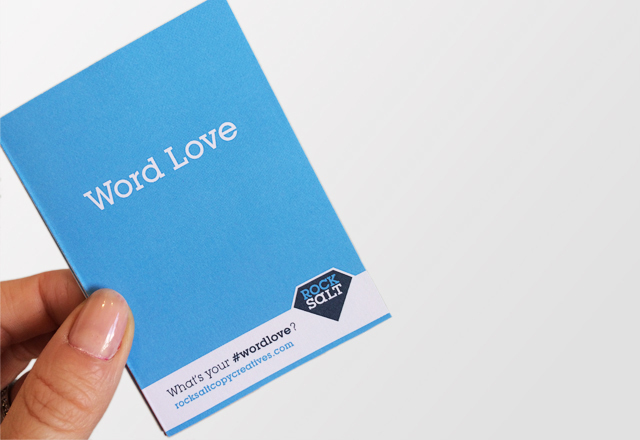 This acted as a business card for the campaign, a chance to collect contact details, and a place for readers to nominate their own favourite word. 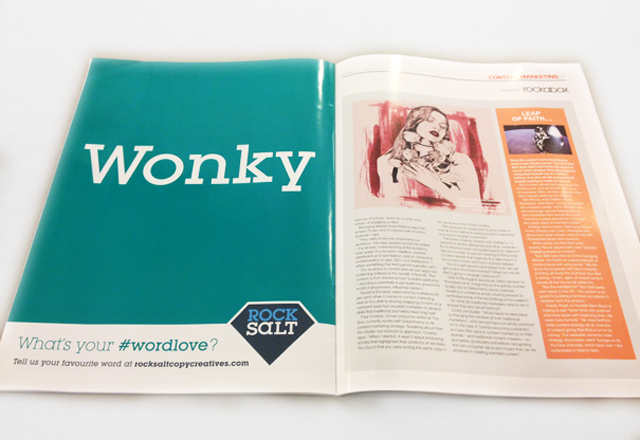 We also designed adverts and a newsletter template for the campaign.